THE region's livestock could be exposed to cattle tick after a biosecurity incident on Saturday. Two potentially infested cattle came off a truck transporting ticky livestock and escaped into the Barakula Forest north of Chinchilla. 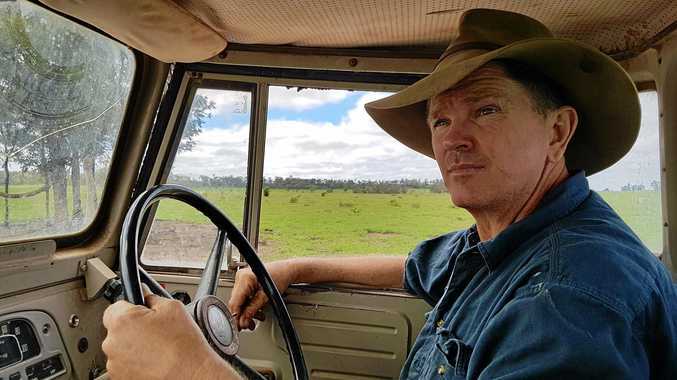 Guluguba grazier Ian Staines owns property adjoining the Barakula Forest and is worried the cattle could light up the entire forestry north of the wild dog fence, comprising hundreds of thousands of acres of thick forest and poor fencing. It's the perfect environment where ticks could go undetected for years and spread to adjoining properties, resulting in a huge infestation more than 100 km south of the tick line. "This could result in a sleeper problem of ticks becoming established but going undetected for several years,” Mr Staines said. According to a Biosecurity Queensland spokesperson, the Braford cattle were on a truck going from the Nebo district to a saleyard in south-east Queensland and came off when the driver was checking the load at the Great Dividing Range truck stop on Saturday. 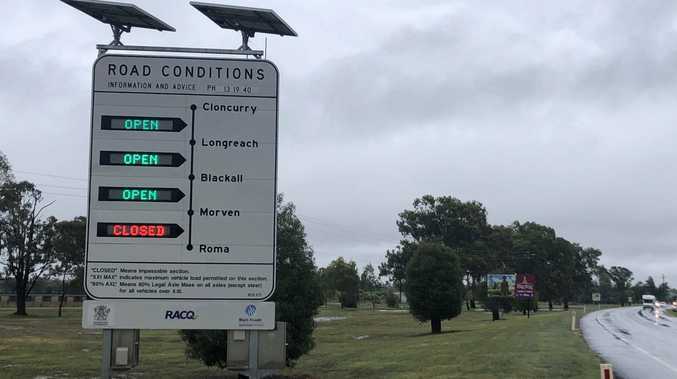 The incident was reported to Biosecurity Queensland that day and a staff member met with the truck driver and examined the remaining cattle when they arrived at their destination and found some had ticks. The spokesperson said the Department of Agriculture and Fisheries could not alert neighbouring property owners until Monday morning when it had the full story. Mr Staines found out via text message from a neighbour but he was not contacted by DAF until Tuesday. DAF staff were expected to arrive at the site yesterday. Mr Staines is thankful the owners had the integrity to report the cattle getting away, but is furious that neighbouring landholders were not alerted sooner and at the delay in getting staff on the ground. "We should have found out within 12-24 hours,” he said. "This incident highlights the poor governance and ill thought out policy setting involved in allowing ticky cattle to pass through clean areas en route to market. "If this... is to continue the people from the dirty area, who enjoy the benefit of transporting cattle through a clean area, should be bearing the cost. "There should be a levy on untreated cattle moving through tick-free areas so that the immediate responses required in the event of failure are able to be funded upfront. "The best-case scenario for us is if the cattle had gone down the range and ended up with our cattle on the open country because then we could have responded quickly with known costs, but it appears that the cattle have disappeared into the Barakula. "The way it stands now, if we get lit up with ticks we will run the risk of losing cattle to tick fever, lose our quick access to markets and bear the cost of cleaning up. "In this instance at best, we still have to bear the cost of increased monitoring to identify and treat cattle so we don't sustain stock losses in case we have been lit up. "The other obvious flaw in the policy is that the only way an affected landholder can recoup costs brought on to them through no fault of their own is to pursue the party that has caused the breach through the courts, bearing the time delay, legal costs and the possibility that the party involved does not have the means to pay anyway. "But from a policy point of view, more importantly this is likely to encourage people who have breached not to report unless they think there is a high chance of being caught. The Guluguba incident follows a tick outbreak near Wandoan in July which killed 18 cows worth $30,000. The owner, Ivan Hay, has spent $25,000 since the outbreak and estimates it will cost him another $100,000 to complete the clean-up program over the next year. Mr Staines said if the management of the incident at Guluguba went wrong, those figures could easily dwarf the costs faced by Mr Hay by a factor of 10 or 20. - Jacinta Cummins is a freelance journalist at Guluguba and lives on one of Ian Staines' properties which could be affected by a cattle tick outbreak.